Get the low-down on bonuses at MrGreen! Few online casinos regularly update their appearance to match with the time of year, but mrgreen shows an attention to detail that proves that they are actively working on their site. MrGreen updates its site constantly to reflect certain seasons, with seasonal bonuses that come into play depending on the time of year. MrGreen mobile is undoubtedly very similar to MrGreen desktop, as the website layout is very mobile friendly. With three years of Gaming Award wins under their belt, MrGreen is proving to be an excellent online casino. Few casinos can say that they are as proud of their bonuses as MrGreen. The most obvious MrGreen bonus can be found right away: a £100 welcome bonus and 100 free spins. While all bonuses require a deposit, MrGreen offers a truly staggering number of bonuses for those who do. The “second chance bonus” is unique to MrGreen, allowing players a chance to win even if they no longer have any money to wager; once they reach the wagering threshold of 35x, players can withdraw that money. For the Christmas holiday season, the number of MrGreen free spins totals out to an incredible 310 free spins with a deposit of £50. 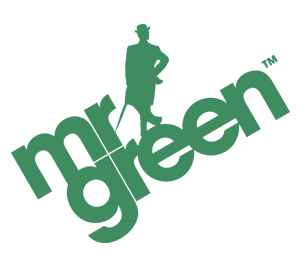 MrGreen strives to make their site as accessible as possible, and it shows. Rather than clutter up one page with menus, MrGreen chooses to let players scroll from one section to the next. Instructions on how to play each type of game are included right away, while players can choose to try out any game before even registering an account. MrGreen also has options for limiting wagers, deposits, and loss. Players can also see which payment methods are available at the bottom of the page: Mastercard, Visa, Paypal, Skrill, Neteller, and Clickandbuy. This gives players a variety of options for how to deposit and withdraw from MrGreen. With a stunning 240 games to choose from, MrGreen offers a wide variety of games for players of all types. MrGreen highlights new games for players to see right away, allowing them to try out a new game as soon as it arrives. Popular games are listed next, but not just in terms of hit counters: instead, it’s by rating. This means that players had to give the game a high rating, which emphasizes the popularity of those games as well as the success rate that people have had with said games. Games are separated into the following categories: Video Slots, Jackpot Games, Live, Black Jack, and Roulette. Players can also choose to view all games, if they don’t have a specific type in mind. MrGreen’s support is as extensive as it is thorough. In addition to a live chat that is open 24/7, MrGreen has a dedicated customer service e-mail. Their phone number is also available, should players be more comfortable with a phone call than a chat. MrGreen has an extensive Terms and Condition page as well, which lists when it was last updated to let players know if anything has changed. Players can also read about the different bonuses, how to activate them, how to receive them, and how they work. Unlike many online casinos, MrGreen takes it a step further and includes game rules for every single online game that they offer. This lets players fully understand the rules of every game that they play without even needing to try it out first.